Mr Burke only approaches characters that are renowned for their evil deeds now. Now Mr Burke only approaches characters that are renowned for their evil deeds. This adds some logic to the character since in Vanilla he approaches any player, good or bad. This way Burke is making sure he is not barking at the wrong tree. Only infamous players will be approached. He also doesn't try to call your attention like an idiot any more. 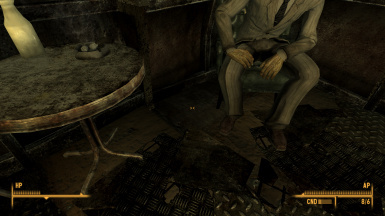 This mod also contains some new notes to give Burke some more backstory and try to explain why he hasn't tried to accomplish the mission himself. 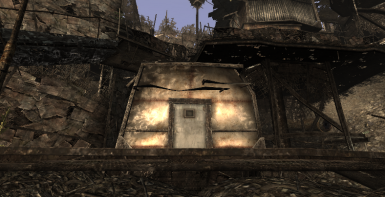 It also adds a key to Burke's House in Megaton so players can bypass the 100 lockpick requirement. A few new items are located inside his house now. - Mr Burke only approaches characters that are renowned for their evil deeds. - Added some evidence of Burke's plans. Changed some dialogue lines to reflect the changes. - No matter your alignment, you can still tell Simms about Burke if you have the evidence. - Better in-game logic for Burke's actions. - Notes with backstory (Lore-friendly). - Slight reorganisation of Burke's house. - A new item of clothing. - A Big Book of Science. V 2.2 Corrected some spelling mistakes. Corrected some character's lines to fire properly. 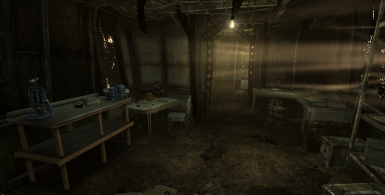 V 2.1 Adds more objects inside Burke's house. Bethesda for their work on the original game content.